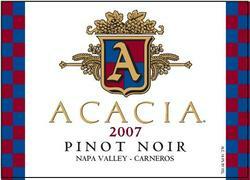 I always considered Acacia to be a pioneer when it comes to Carneros and Pinot Noirs. Founded in 1979, this winery specializes in two Burgundy varieties: Chardonnay and Pinot Noir. 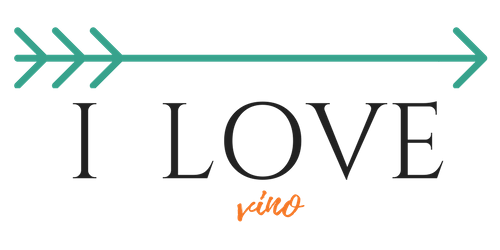 For more than 3 decades they produce consistently high quality wines thanks to their attention to the details (in the vineyard and in the winery) and perhaps also thanks to their winemaker’s background. Matthew gained his experience in numerous wineries in California, New Zealand, but most importantly in Burgundy, France – where he learned the traditional techniques of Grand Cru and Premium Cru wines. No doubt that the great potential of Acacia estate vineyards plays a significant role as well. Grapes for 2007 Estate Pinot Noir Carneros were harvested by hand when perfectly ripe, and underwent careful selection to assure that only ripe, undamaged grapes made it to the fermentation tanks. Grapes were de-stemmed and cold soaked for a few days. Grapes were punched to extract the most flavor, color and character in the stainless steel fermentation tanks for about 3 weeks. After that time, the wine was pressed and transferred to oak barrels. Pinot Noir Carneros 2007 aged in mainly French and Hungarian oak barrels for 7 months. Dark ruby color and lovely aroma of exotic flowers, dark cherries and plums. On the palate it was silky, medium body Pinot Noir with lovely expression of ripe fruit, notes of wild blackberries, cherries and baked plums. Light hints of cacao and vanilla. Very smooth tannins and great acidity. Acacia Carneros Pinot Noir to me is the textbook Pinot Noir, as close to Burgundy style as Carneros appellation allows it. Based on the quality of this wine, it must be considered a great value as well!